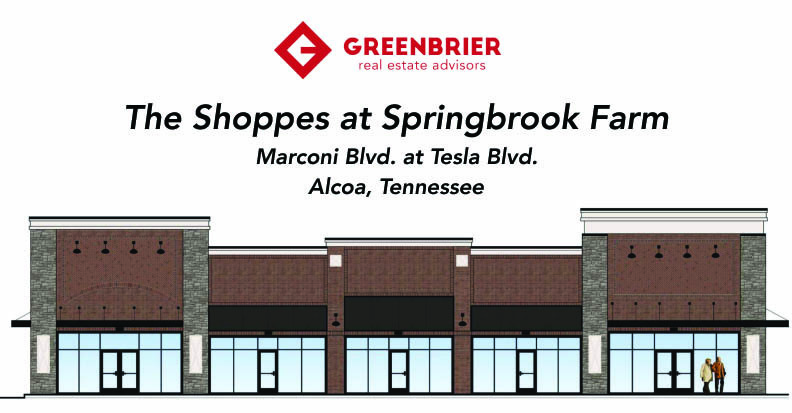 New retail opportunity at The Shoppes at Springbrook Farm in Alcoa, TN. The Shoppes at Springbrook Farm is located at the traffic signal main entrance of Hall Road and Marconi Blvd. The mixed use master development includes the following components: grocer, retail, restaurants, hotels, assisted living, single family, multi-family, etc. Interior road infrastructure has been completed and the ribbon cutting ceremony occurred on August 22, 2018. See news.